In recent years the agenda of how to ‘deal with the past’ has become a central dimension of the quality of contemporary democracies. Many years after the process of authoritarian breakdown, consolidated democracies revisit the past either symbolically or to punish the elites associated with the previous authoritarian regimes. New factors, like international environment, conditionality, party cleavages, memory cycles and commemorations or politics of apologies, do sometimes bring the past back into the political arena. 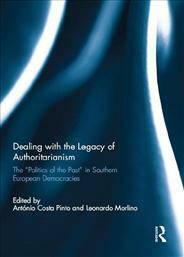 This book addresses such themes by dealing with two dimensions of authoritarian legacies in Southern European democracies: repressive institutions and human rights abuses. The thrust of this book is that we should view transitional justice as part of a broader ‘politics of the past’: an ongoing process in which elites and society under democratic rule revise the meaning of the past in terms of what they hope to achieve in the present.